The small patch of Indian Corn was picked today. 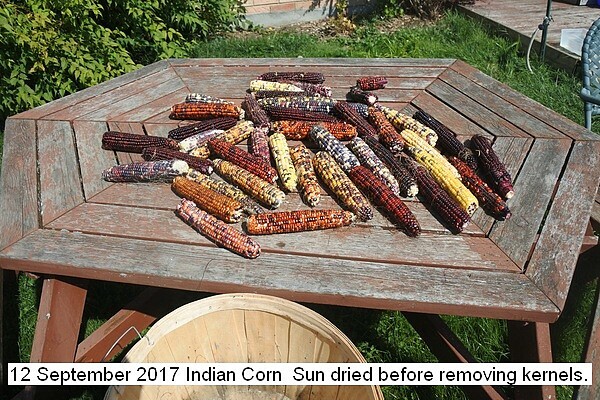 It will be dried in the Sun for a few days then the kernels will be removed and dried for storage. The kernels will be nixtamalized and used an ingredient in morning gruel. This entry was posted in Uncategorized and tagged 12 September 2017 Indian Corn, Indian corn. Bookmark the permalink.